Polycarbonate small scales There are 5 products. Small scales made of lightweight polycarbonate plastic. Leaf-shaped, 22.5 mm long and 13.9 mm wide, with a 5.6 mm hole. To connect these scales into sheets, use rings of at least 1.2x5.0 mm. You'll need at least two rings per scale. 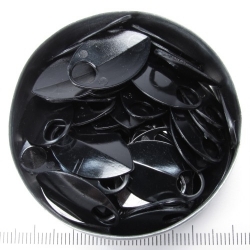 Black polycarbonate scales, ca. 100 pc. 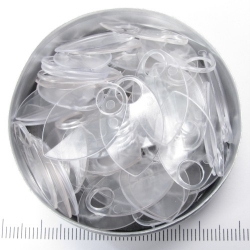 Clear polycarbonate scales, ca. 100 pc. 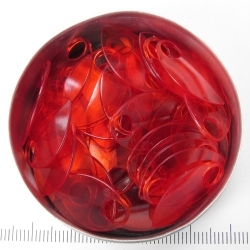 Red polycarbonate scales, ca. 50 pc. 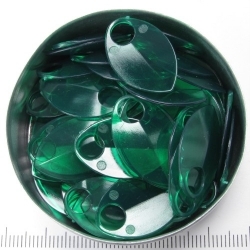 Green polycarbonate scales, ca. 50 pc. 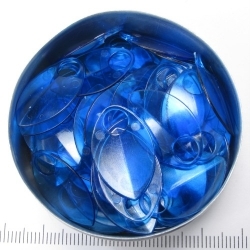 Blue polycarbonate scales, ca. 50 pc.